Travel far and wide and you’ll still be hard-pressed to find a city as rich in history and culture as Jerusalem, where over upwards of 5,000 years of settlement almost countless peoples and cultures have either passed through or called the city their home — Canaanites, Israelites, Greeks, Romans, Arabs, Turkish, Europeans, Ethiopians and so on. 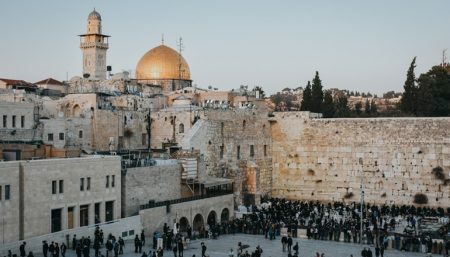 Even today, it is still a central place to the 3 major monotheistic religions — Judaism, Islam and Christianity — and believers from across the globe regularly make the pilgrimage to visit or even live here. The city and its residents hold the history of the city and its peoples in high regard, preserving and enshrining their stories in a number world-class museums ranging from the massive Israel Museum to the more specialized Bible Lands Museum, Islamic Art Museum and others. Aside from perhaps the Egyptian Museum in Cairo, no museum in the region can rival the impressive collection of historical artifacts housed in the Israel Museum dealing with archaeology, ethnography, Jewish history, ancient and modern art and much more, including two of the most important archaeological finds ever in the Middle East — the Dead Sea Scrolls and the Aleppo Codex. Alongside the regular and rotating special exhibitions, the Israel Museum is also a cultural center that hosts lectures, programs and activities for children, festivals and more. Yad Vashem is equal parts museum chronicling the history and memorial honoring the victims of the Holocaust. Established in 1953 by the nascent State of Israel, the museum’s philosophy is based on the four pillars of remembrance — commemoration, documentation, research and education. As such, it contains the most comprehensive collection in the world of first-hand accounts gathered from survivors from all over the world intertwined with moving memorial sites, special educational programs and lectures. Entrance to Yad Vashem is free. Another Jerusalem Museum that doubles as a cultural center, the Tower of David Museum is unique in that it is completely dedicated to the history of Jerusalem, chronicling the days of its initial construction the present day. You can experience the story throughout the year at the museum’s permanent exhibit that takes you on a journey from the time of the Canaanites through the Israelite and Judean kingdoms, Babylonian, Persian, Greek, Roman, Arabic and Turkish rule, the Crusades, the British Mandate and the modern State of Israel. In addition, the Tower of David Museum hosts rotating special exhibitions dedicated to other important historical and cultural aspects of the city. For instance in 2015 and 2016, there were exhibitions dealing with the history of medicine in Jerusalem, photography, art and the opening of new parts of the museum grounds to the public. The museum is also popular for its Night Spectacular, a stunning laser light show displayed on the walls of the Old City, and numerous cultural events throughout the year. The Bible Lands Museum specializes in chronicling the biblical period of the region from the time of the Canaanites up until the time of the Second Temple and even more specifically on the daily lives of average people from these periods. The permanent exhibitions center around seemingly simple but rare and telling artifacts such as housewares, jewelry and clothing. While special exhibitions often deal with major historical events, such as the Babylonian Exile in 2015’s Rivers of Babylon Exhibition, the Bible Lands Museum’s exhibitions always offer a unique perspective on history by focusing on the “people side” of history and telling their stories. While Jerusalem surely values its history, there’s certainly more to the museum scene, as evidenced by the Bloomfield Science Museum, one of the most popular family attractions in Jerusalem. The museum is packed with fun interactive exhibits and activities for all ages focusing on science and technology presented by the museums knowledgeable staff as well as visiting presenters from institutions around the city. If you’re looking for the perfect combination of fun and education, then the Bloomfield Science Museum is the place for you. Herzl Museum is located at the entrance to Mount Herzl, not far from Theodore Herzl’s tomb. The museum was built to commemorate 100 years since the death of the man who had the inspiring vision of creating a Jewish home in a Jewish land. The museum includes an audiovisual display and four exhibition rooms displaying the milestones and life events of the greatest Zionist of all time, starting from his early life in Vienna, the Zionist congresses in Basel, and concluding with his death. The fourth room is dedicated to the achievements of the State of Israel – Herzl’s dream. A great educational experience for the whole family! 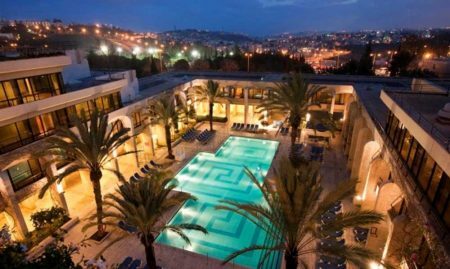 Check out two more unique museums in Jerusalem and don’t forget to check out the many other small Jerusalem museums located throughout the city, including downtown Jerusalem and Old City. Museum On The Seam was featured in the New York Times “29 impressive art establishments from all around the world” list. It’s quite understandable – On the Seam is a unique Boutique Museum exhibiting selected art from Israel and abroad of leading contemporary artists and discusses social, gender, ethnic and geographic issues, emphasizing the elements that connect the nations of the world. Previous exhibitions of the museum dealt with issues of human rights, animal rights, the environment and man’s place in modern society. Located in the charming downtown Jerusalem neighborhood of Nahalat Shiva, the Hebrew Music Museum chronicles the history of Hebrew and Jewish music in Israel and throughout the world with a collection of unique instruments and interactive exhibitions. Ammunition Hill is a museum and memorial site for one of the most famous battles of the 1967 Six-Day War. The facilities feature preserved battle trenches, military vehicles, a 3-D battle model and the physical challenge area with a zip line, rope and obstacle course and more.